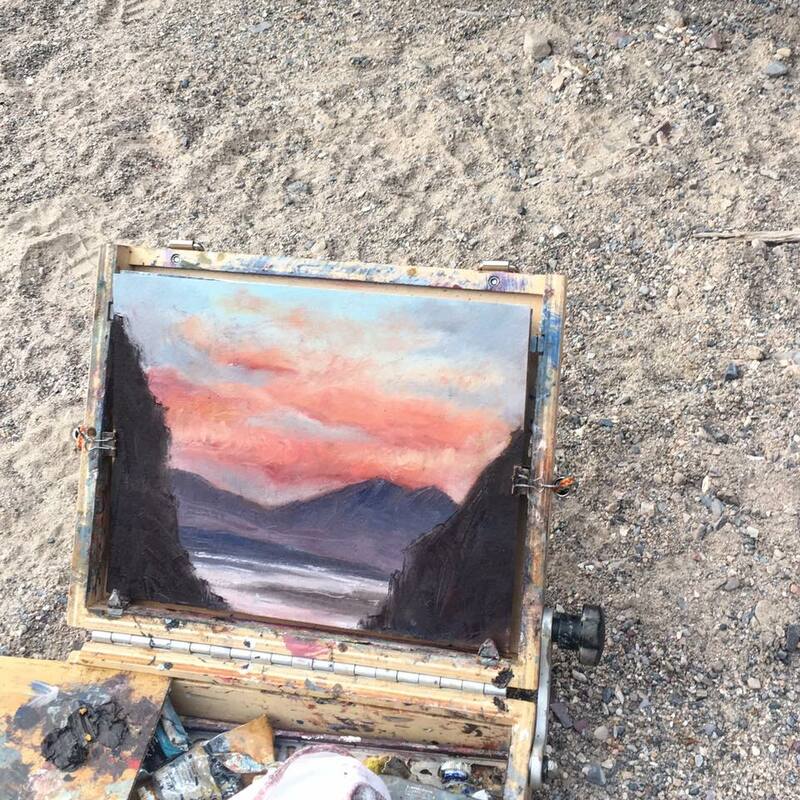 The Close Silence of Death Valley – Sam T.G. But first, the light bar. A screw had rattled loose. Between our two rigs we’d discover or repair a light bar, disconnected battery terminals, a broken four-wheel drive shifter, a loosened radiator cap, and a busted muffler suspension. 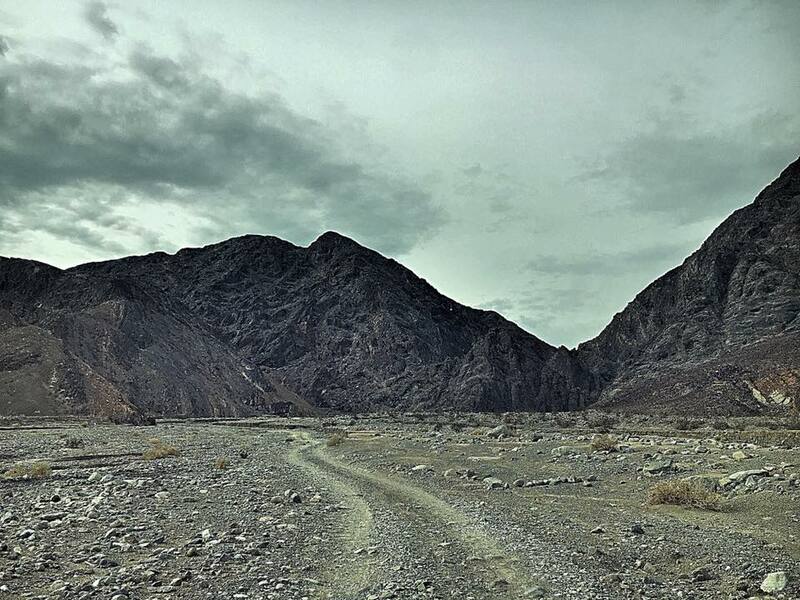 Despite the wear on our rigs, Death Valley is kind to us in scenery and in weather. Cottonwood Canyon road finally begins a gentle climb into the mountainous canyon as imposing walls of stone rise on each side. 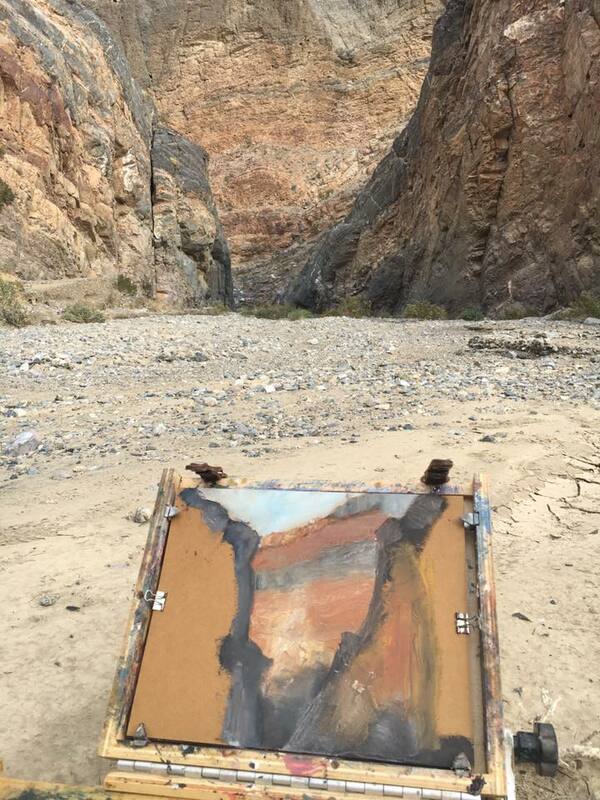 We navigate ages of washes as the road becomes a bit more challenging. We pass the eight mile mark with a discreet sign indicating no campfires in what is now proper backcountry, and find a flat of packed sand rising above the wash and road as a perfect camping spot just as night’s darkness begins to envelope the canyon. We are completely alone. A splendor of stars and a pervasive, soothing silence accompany our dinner. Mom turns in with her one-person tent while my husband, four month old son and I drop into deep sleep in our own little shelter. Early morning comes with the most spectacular sunrise framed by the still-darkened canyon walls. 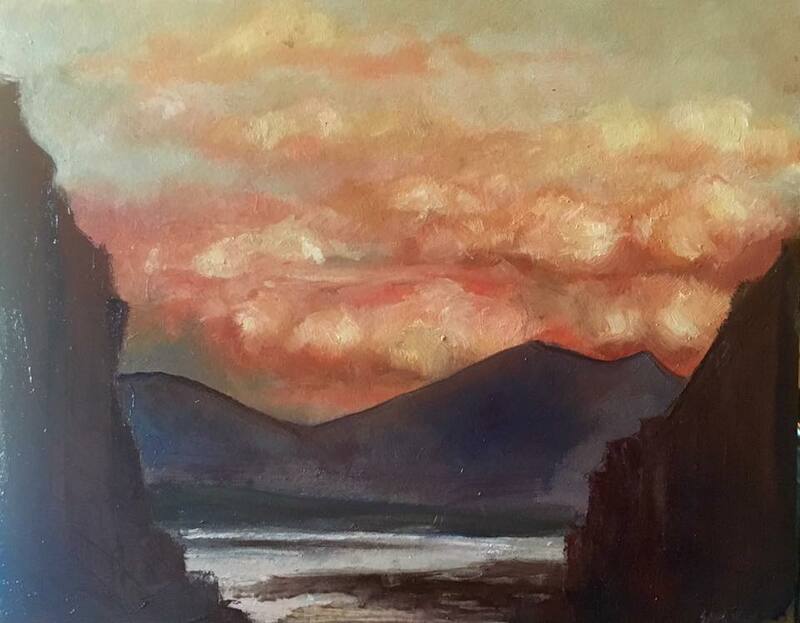 With everyone else asleep I quickly open my painting kit and get to work, rushing to capture the starkness of the distant salt flats against the silhouette of the far-off mountains and the rolling clouds lit from within by a brilliant sun. Soon the camp is wide awake and humming over breakfast and packing up our gear to explore on wheel and foot this place that intimidates and allures in one glance. My son enjoys the crisp morning air from his vantage point. 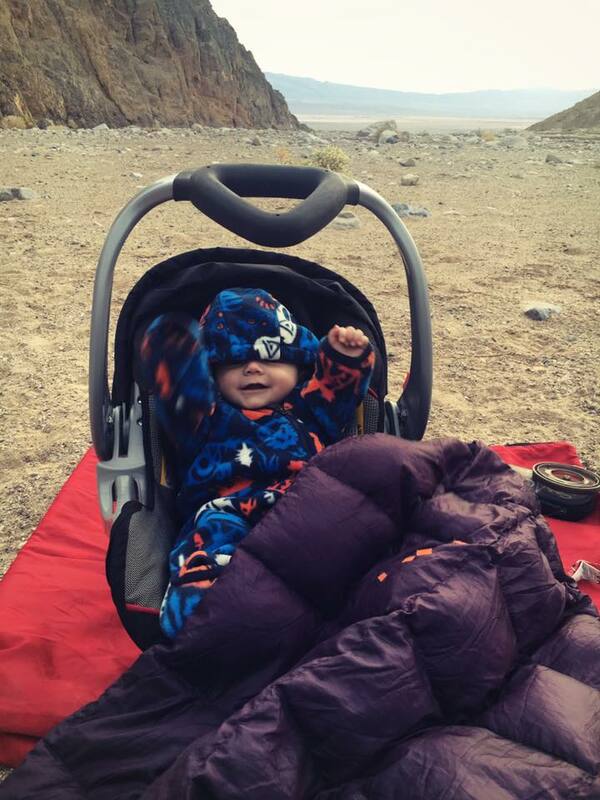 The constraints of off-roading with a baby are this: care and ease up even more on the gas. 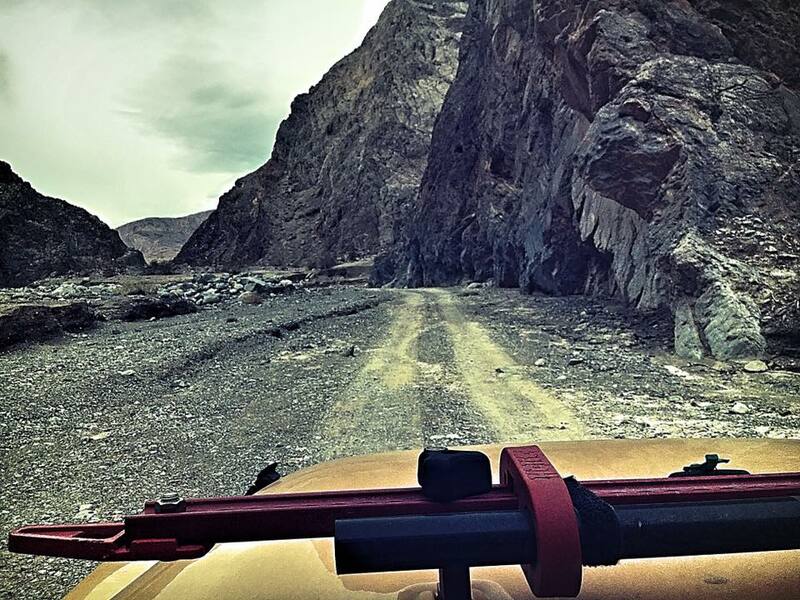 He quickly falls asleep as we drive deeper into the canyon, our rigs in four wheel drive to navigate pits of sand, mild off-camber washouts and small boulders dotting the rugged, winding, sometimes faint road. There is a small sign at the junction of roads toward Cottonwood Canyon and Marble Canyon. Many people stop here and hike the rest of the way to complete the Cottonwood/Marble Canyon backpacking loop. We pressed on in our rigs up the Marble Canyon road, navigating slightly trickier, rougher areas until we are met with a dead end on a wooden sign saying: Wilderness Restoration Area, Horse/Foot Traffic Only. 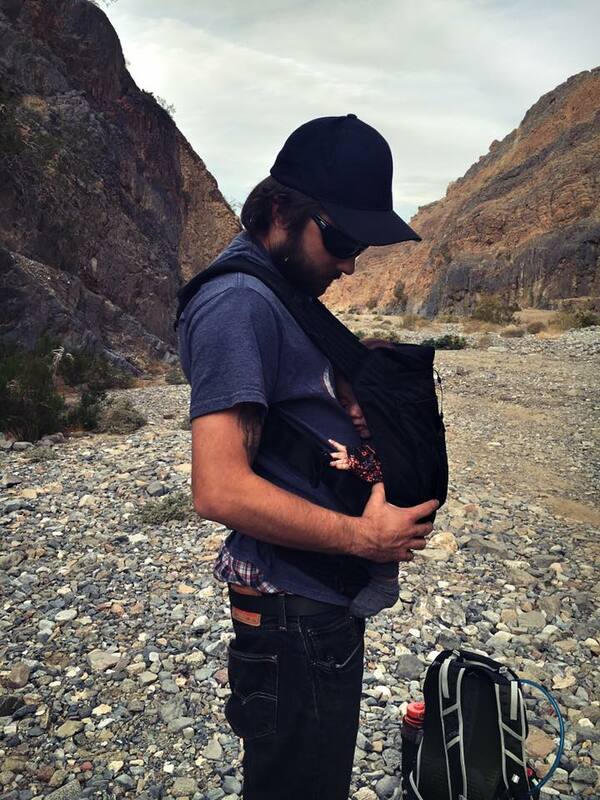 We stop for a proper, warm lunch before shouldering our daypacks, getting the baby into his carrier and heading out on foot into the beautifully bizarre land of Marble Canyon. 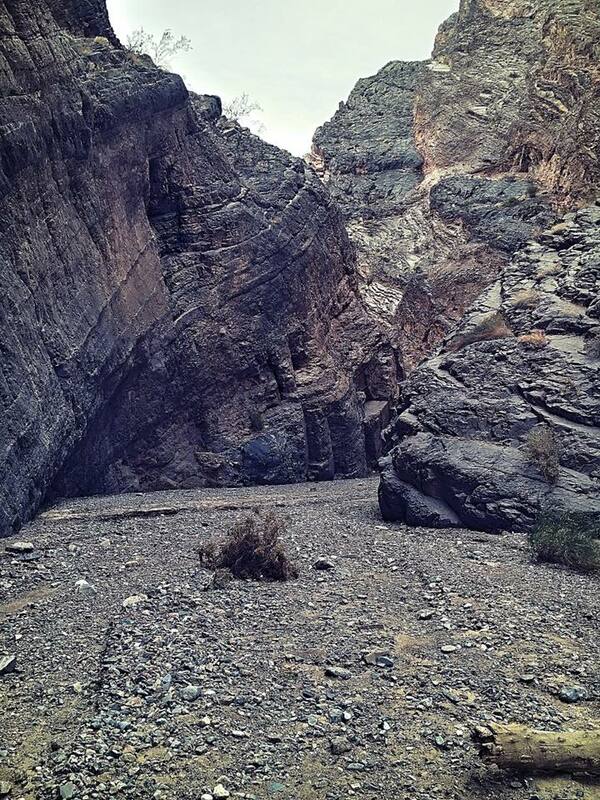 The terrain is rocky and rough, but worth the caution as we are surrounded by slot canyons and their diverse geology. In this out-and-back hike we go as far as the deadfall, a jumble of boulders sealing off the canyon and requiring scrambling up the side along a cairn-marked alternate route to get around it. 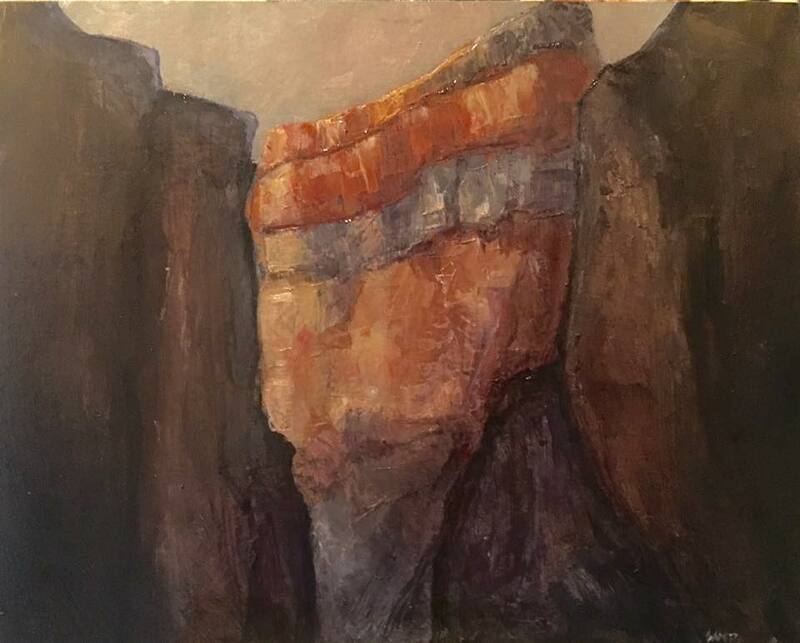 As my mom explores and my husband and son take a midday nap, I set to paint these impressive canyon walls and the engulfing feeling of being in the midst of these narrow, wild places. This quick weekend adventure only leaves us with a deep curiosity to explore further, later on, with a properly stocked backpacking pack. Before taking that four-hour drive back into the night we stop by the Saloon at Stovepipe Wells for wings and burgers, all of us with a fine layer of desert dust and nonetheless refreshed from our short time in that beautiful, bizarre place.